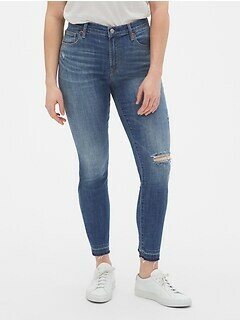 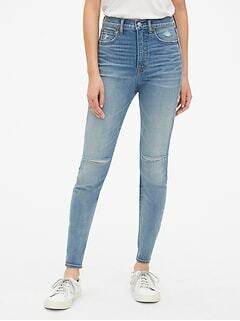 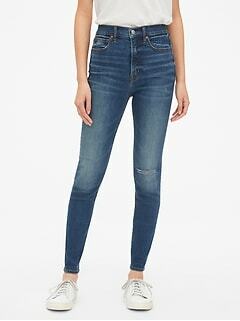 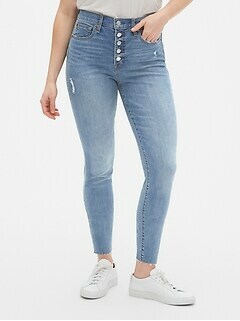 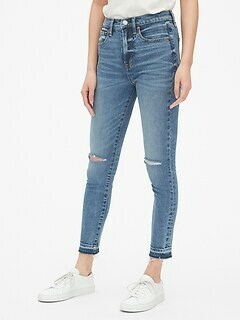 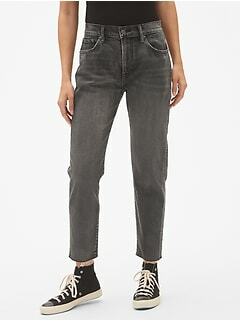 Find distressed jeans for women at Gap and sport them to rock one of the latest trends to hit denim. 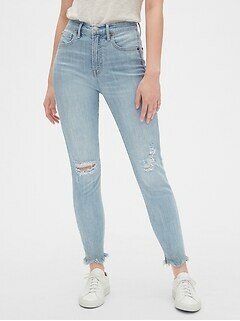 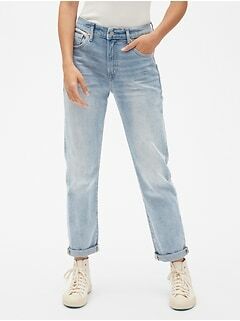 Distressed jeans are still at the forefront of denim trends and that means women's jeans with holes continue to be reinterpreted for sleek silhouettes and new washes that make them more versatile than ever. 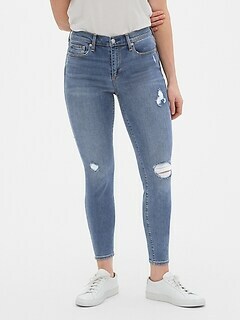 Women's destroyed denim is now available in an array of shapes. 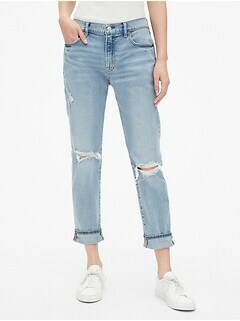 It's no longer just about the boyfriend jean or skinny jeans. 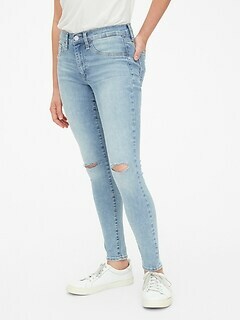 Now distressed jeans are available in straight legs, jeggings, cropped jeans and the iconic Long & Lean silhouette. 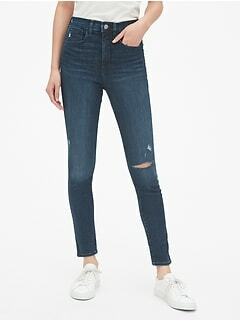 This means that no matter what your favorite pair of jeans are, you can now snag them in a deconstructed style. 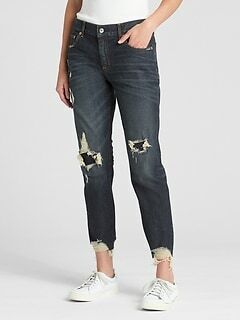 If you're looking for a casual take on this trend, look to a light or stonewashed pair of distressed jeans. 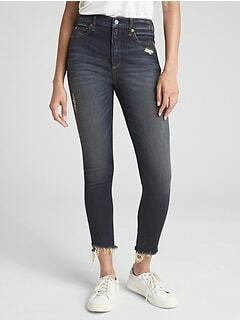 The girlfriend silhouette is one of the latest additions to our denim family. 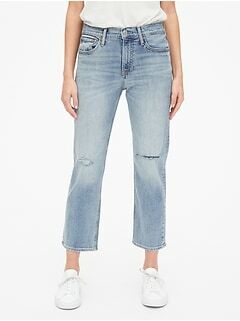 They're relaxed like boyfriend jeans, but with a slimmer shape. 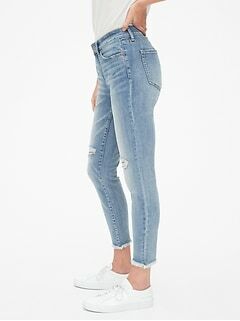 This makes them ideal for slip-on sneakers, flat sandals or ankle boots. 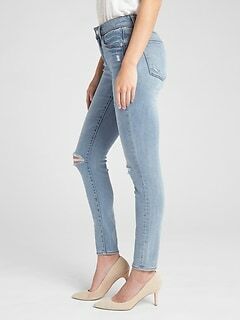 They're also a great pair for showing off statement heels for a night on the town. 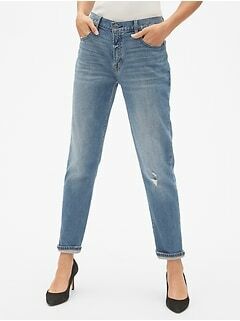 If you want jeans that translate to evening seamlessly, look to dark rinse jeans. 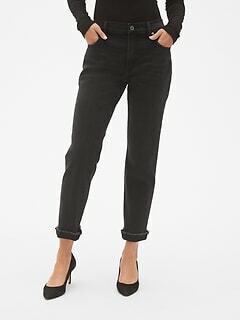 Dark rinse, black and gray jeans are perfect for going from day to night without missing a beat. 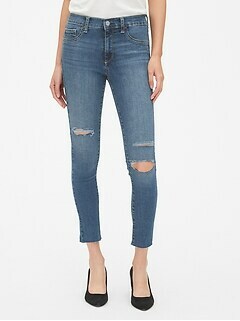 For a night out, it's time to break out the dark denim with distressed details. 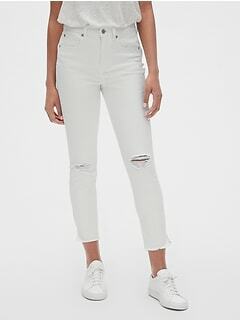 For a casual feel, go with a ribbed cotton bodysuit in an of-the-moment color like rust or chocolate along with skinny distressed dark rinse jeans. 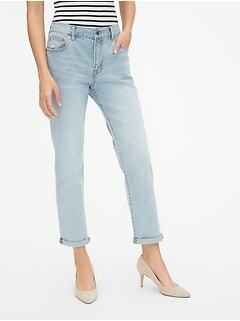 Add block heels and a cross-body bag in a metallic color for a stylish twist on this look. 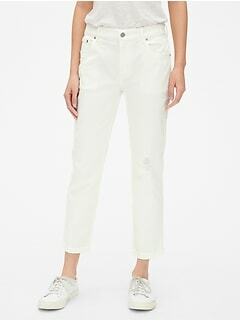 For a party-ready look, opt for a silky racerback tank in olive or bronze with flared distressed pants plus stilettos. 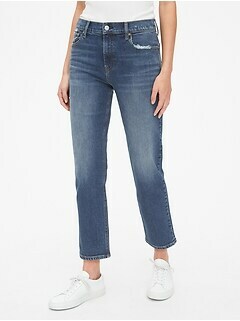 This is a sizzling look that's approachable thanks to the denim on bottom, but fits in at any hip affair. 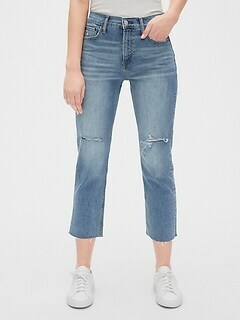 For a seriously trendy look, add a streamlined fanny pack at the waist and thin hoop earrings. 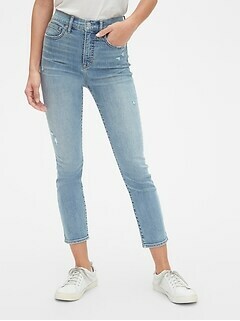 Get ready to turn heads in this fabulous look worthy of a street style blog.